If you're looking for the ultimate indulgence this holiday season, look no further than La Mer The Body Creme. Not only does it make skin soft and smooth in just minutes -- but it's La Mer. And who doesn't want to see that name coming out of the wrapping? I love the scent -- it's the same that you'll find in The Hand Creme or the iconic Creme de La Mer. It's somehow fresh, crisp, rich and light all at once, due to ingredients like nutrient-rich sea kelp and La Mer's exclusive Micro-Algae Complex. In fact, La Mer describes it as "a seaweed wrap in a jar." Skin is left feeling so hydrated and moisturized, even after having been completely ashy and dry. A single application on my winter-ridden legs left them looking and feeling like butter. I also love the inclusion of hyaluronic acid, which works to prevent aging and inflammation. 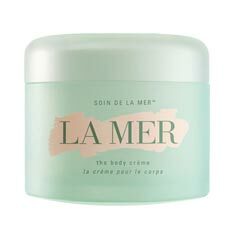 La Mer The Body Creme retails for $230 at blissworld.com.